“Can’t live with them, can’t live without them. But I love a whole lot more than I hate about them. So why you acting like your mama didn’t use that leather? B word this H bomb that. And in the midst all of this I wonder where your moms at? Cause if she ain’t one, then tell me where the hate from. Murs is by far one of the best lyricists and storyteller style rappers that I’ve heard in a long time. Even though his hair is a bit much to take in, I love how he does what he wants to do and doesn’t get wrapped up in having the “perfect” image. On numerous occasions, Murs has paired up with Ninth Wonder, a producer I’d love to work with one day, and released classic albums that belong in any true connoisseur of real hip hop’s collection. Love and relationships are two themes that have made appearances on most of his albums. In 2008, Murs included “Love & Appreciate 2” on his album “Murs for President,” which is actually a follow-up to “Love and Appreciate” on his album “Murray’s Revenge,” released in 2006. In these particular lyrics, Murs speaks not only for himself as a man but for men in general. We’ve all heard the cliche phrase, “Can’t live with them, can’t live without them;” however, Murs admits that “he loves a whole lot more than he hates about them.” Men may groan about what their women are doing to aggravate or frustrate them with their male friends occasionally, and women are definitely known for doing the same, but at the end of the day, it’s all about the love and appreciation you have for one another. However, Murs, does take it a step further by indicating that there does come a point where some men do cross the line with how they treat and interact with their women or women in general. He juxtaposes the mothers of these men and the women with whom they are involved or wish to be involved and questions how men treat women . The implications is that women should be treated with the same respect these very same men would give their mothers. Even though Murs is speaking directly to men, this stance also reigns true with women. I’ve heard women who often refer to men as dogs or bums even when they’ve done nothing to substantiate being referred to as such. Is this love and appreciation? Even though I love rap music, if a person was attempting to learn the English language or grammar rules, a rap song would definitely not be the best place to start. One of the reasons is that several rappers include not just slang but dialects which usually contain blatant grammatical errors throughout their lyrics. Murs is no exception. In the following lyrics, Murs has a very common grammatical error which is actually a dialect with the “to be” verb as been dropped from the sentence. He says, “So why you acting like your mama didn’t use that leather?” But if this sentence was put into standard English it would say, “So why are you acting like your mama didn’t use that leather?” I love slang and dialects, but keep in mind that there is a time and place for standard and what is considered non standard English, a dialect or vernacular of some kind. The Wu-Tang Clan is one of my favorite rap groups of all time. These guys were like the “Justice League” of hip hop during the 1990s and 2000s. Each member has a special power such as lyrical ability, producing skills or just stage presence. 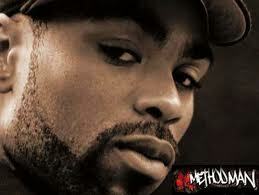 I have always resonated with their grungy, diggin’ in the crates, raw, passionate sound, especially Method Man’s. Of course, I could not help but think about my affinity for Method’s song “You’re All I Need,” featuring the talented Mary J. Blige, as a meaningful and heartfelt rap “love” song. What initially draws listeners in is the chorus and sample from the original classic performed by Marvin Gaye and Tammy Terrell–bridging the gap between past and present generations. However, instead of selecting the memorable chorus to represent this song, I decided to go with lyrics from the song that echo the importance of being supportive towards one another unconditionally within a relationship. It is not uncommon for rap lyrics and many types of creative writing to drop the “ing” sound on a word to demonstrate use a specific type of vernacular or common day speech because it is the voice of the writer or the persona or it has a better flow or sound because of the syllables or meter in the line. In this instance, Method Man drops the “g” from “nothin,” “somethin” and “frontin.” Also, he uses the all too common slang word “boo” as a synonym for his “lady.” Keep in mind that many rappers who are well-versed and considered lyricists tend to familiarize themselves with the standard grammar rules prior to breaking the rules in their lyrics. I love hip hop music and culture! 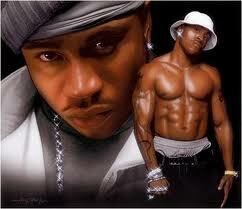 The raw passion of some of the artists, their lyrical finesse and swagger is what ultimately captivates me. I’ve had a tumultuous relationship with rap music from the days of Pre-K to present day; however, one attribute has remained constant: the love! As I continue my month long tribute of the best rap “love” songs, I must acknowledge that I’ve had a multitude of crushes on different artists, but one that continues to persists is my enamored feelings for Common. I have been following his career since he appeared in The Source under “Unsigned Hype,” seen him in concert on numerous occasions and am still an avid fan. It’s not just his urbane look or swagger that attracts me but his humbleness and sincerity that comes across in his lyrics. Common has released many rap “love” songs over the years, but one that I really resonate with is “Come Close” featuring Mary J. Blige. Though Common is a strong man, his song displays his gentleness and vulnerabilities as he exhibits the necessity to have a strong woman by his side. Wow, how often does a rapper do that? He acknowledges that this woman of interest is not a mind reader by explicitly stating, “I just want you to know your whole being is beautiful.” Sometimes a woman needs to hear what her man is thinking and not just assume. Such a statement also helps to make her feel wanted, that is considering that the comment is sincere. Furthermore, Common does not simply say, “You are beautiful,” but “Your whole being is beautiful.” When is the last time you complimented someone of were complimented on your whole being not just your looks alone? In two months I will be starting the chapter of marriage in the book of my life. Quite frequently people say, a relationship or marriage is a lot hard work and requires dedication and some give and take. Common also provides some terrific advice by stating, “I’ma do the best that I can do.” Do people really put forth their best efforts in relationships or just get comfortable…maybe too comfortable over time? 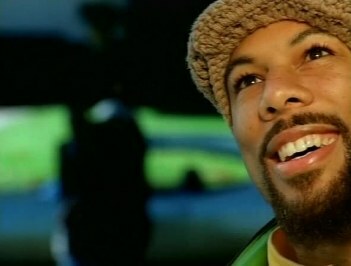 Common often incorporates poetic techniques such as slant and assonance rhymes, and this song is no exception. In this instance, Common uses the “Oh” sound as part of his rhyme. Some people may argue that this is not a rhyme; nevertheless, this is a common practice among past and present poets and allows that writer to manipulate and play with the language. Of course, I must start off with a classic from my childhood when I first starting having crushes on boys and thinking about how it would feel to be in love. Any female who was around during the late 80s who was into rap music more than likely had a crush on LL Cool J, and I was no exception. Enormous posters of him, along with a few of my other crushes, covered my bedroom wall, and when he released the song, ” I Need Love,” I would often gaze at his pictures totally mesmerized and fantasize about being the girl in the video. LL’s song presents a thought-provoking revelation that most people will have at one point or another in their lives. To begin with “When I’m alone in my room…” may involve some deep meditation. In 2011, nearly 25 years later, there are a plethora of technology and media outlets to distract us from being pensive and thinking about what we really want and need out of life. LL is “staring at the wall…” not texting, tweeting, updating his facebook status or checking the status of others. When is the last time you had some “alone” time to think about what you really want or need in your present or future relationship or life for that matter? It’s extremely difficult to “hear your conscience call” if there are too many distractions let alone brain chatter. Even though I am no expert, as a result of being in a long term relationship and observing the relationships of others, I’ve learned that everybody is not looking for the same attributes in a significant other. Over time, people may even realize that what they previously wanted is not what they presently need in a relationship. Studies have shown that love is a necessity, and it actually plays a significant role in how healthy people are and even their ability to recover from illnesses. It does not necessarily have to be romantic love, but being in love, feeling love or even giving love can add years to one’s life. Have you experienced love or being in love? When is the last time you displayed love to those who matter most in your life? We all need love! LL Cool J experiences an epiphany in his rap song “I Need Love.” He proclaims, “For the first time in my life, I see I need love…” An epiphany is a moment of sudden revelation or insight. Ready to Break in the Summer!